Picture it! My basement. The year was 2016 (if you get this reference you are either my contemporary or you watch way too much Lifetime TV) and I just finished setting up my fancy new 4K TV, but what to do with this gorgeous piece of tech? Glad you asked! I could watch a movie. Perhaps. 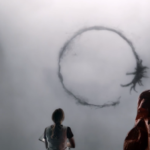 Binge a show on Netflix… Possibly. Maybe I could play some freakin video games? Now that’s the ticket! There were so many great games to play that fateful year, (I remember it like it was yesterday), how would I find the time? I really only had one option. To put my head down for what must have been 10’s of minutes a day (Hey, I’m a busy guy) and played and played just to bring you my favorite games of the year. Nobody said this job was easy but it truly is a labor of love. So after months of this hard labor we are finally here. Thank you for being a friend and allowing this almost senile man to indulge himself with thoughts of yesteryear. So without further ado or anymore fanfare whatsoever, I present to you my Top 10 Games of 2016, that I actually played. At least I think I played these games. You never know, old age and all. You know the saying “This isn’t your father’s (fill in the blank)”? Well in the case of Pac-Man CE 2, it’s the truth (I know I’m starting this list with some clichéd BS, but I have to write 10 of these so cut me some slack). Forget all the things that Pac-Man has taught you over the years. Steadfast rules like “running into ghosts will kill you instantly” are out the window. In fact, you spend most of the time in Pac-Man CE 2 straight up antagonizing the hell out of them. The more ghosts you get to chase you the higher your score will get when you put the chomp train down on those scared little ghosts (after you eat a power pellet, of course). Furthermore, the levels no longer require you to eat every single dot on it for you to advance. It’s still a good idea, as it affords you other luxuries like bonus score and the “get out of jail free” bomb reset. Oh, while I’m on the subject of levels, each level flows instantly into the next without even a seconds rest. And the damn game is timed too. I’m stressed out just thinking about it! Pac-Man CE 2 really shows how a classic game can reinvent itself. I know that some of this stuff was done in Pac-Man CE 1 but this is a real evolution of the game play from that earlier title. It seems that this amazing game was overlooked a bit after CE 1 came out of nowhere and caught gamers attention, but it is a small bit of injustice if you don’t give this game a shot. I absolutely adore Halo Wars. Have since it released in 2009. With that said, I couldn’t, in good conscience, give a Definitive Edition, even of a game I LOVE, a higher spot on my list than 9th. This is not to be meant as an insult by any means. If you never played Halo Wars, it’s a RTS (Real Time Strategy) game build from the ground up with consoles in mind. It also makes great use of the Halo property, which is ripe for the picking. 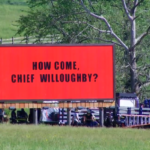 It had terrific cut scenes (especially for its time). Oh, and did I mention, it’s freaking fantastic? So that’s the (very) skinny on Halo Wars. 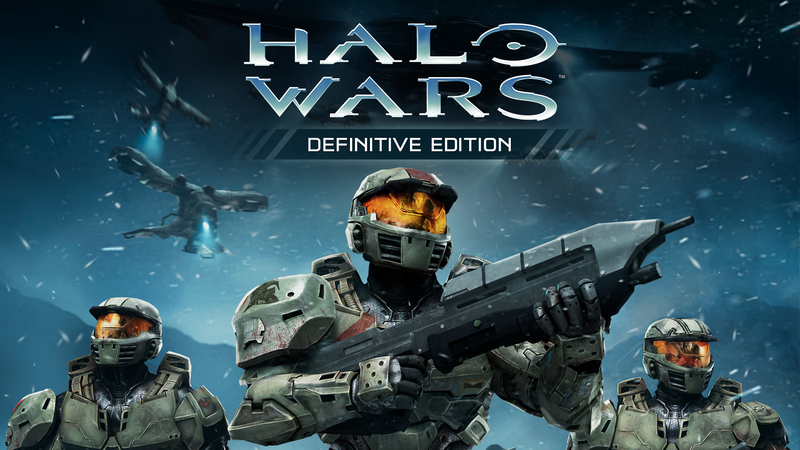 Halo Wars: DE basically improves on all of the originals already rock solid features. 1080p visuals. Check. 60fps. Check. Faster load times. Check again, and again and again. I’m not going to give a mini review on a game that is essentially 8 years old at this point. I will say if you liked Halo Wars before, you will love the upgrade. I you didn’t like it, you still won’t. Lastly, if you never tried it and like the Halo Universe, give it a chance. It’s a departure from what you know of Halo but this game is so good it might just grab you. OK, I admit it. This is the first Ratchet and Clank game I have ever played. It never struck me as a game I would enjoy. (Seriously, where are all the blood and guts?) Man, was I wrong and I couldn’t be happier! Right from the start I was laughing at the dialog and really mesmerized by the (cliché #2 incoming) Pixar quality visuals. Not to mention the creative weapons and mega smooth game play. 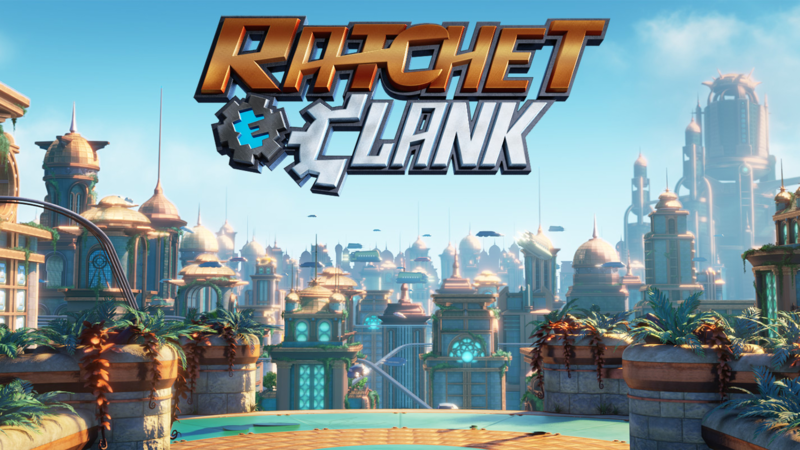 As far as action/platform games go, R & C has the goods. It was so much fun taking Rachet and Clank on this adventure. I believe the game is a reboot of sorts as this is an origin story. I won’t bore you with the specifics, but after Rachet joins a prestigious military outfit, the game takes you from one amazingly designed local to the next. The developer Insomniac (who’s game Sunset Overdrive still remains one of my favorite XB1 exclusives) shows that they have some real talent when it comes to level design. From Jet Packs to Hover Boards to Rail Grinding Boots the traversal of the environment(s) never gets stale. There are also a fair number of enemy types to deal with in Ratchet and Clank as well. After the 6 or so hours it took to complete this game, I am really looking forward to the next episode in the Ratchet and Clank series. Being that I don’t have the time to play games like I used to, that is saying something. Pardon me while I steal a little excerpt from my fellow MonkeyGoose game reviewer James Kidd’s review of GOW4. 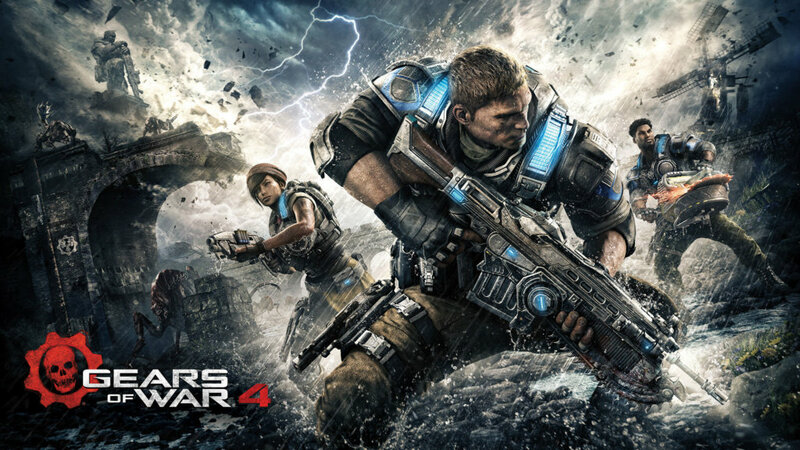 OK, now that the heist is complete, I have to say I agree almost wholeheartedly with James’ assesment of Gears of War 4. Almost. I think that the ending of GOW4 was stellar, subtle, but stellar nonetheless. It didn’t leave me feeling salty (but hey, I really like salt, so there’s that). As they say, different strokes (and there is #3). But seriously, James wrote a fantastic review for this game and I suggest you read it here. There isn’t much more for me to add. So… Yeah! Play this game!!!! 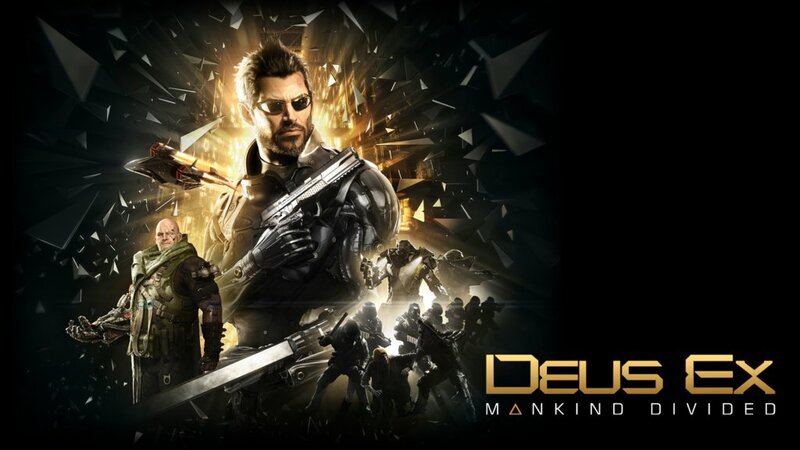 Having been a fan of the previous game in this series, I was really looking forward to a return of the stealth action goodness that is Deus Ex. With Mankind Divided, I got more than I was hoping for, which made this lifelong gamer extremely happy. The setting is bigger and better and the stakes are higher (BAM!! #4 hitting you hard) as you work your way (and I stress YOUR way as this game over numerous options to complete any mission) through the intricately craft main story mission. But like any open(ish) world game worth its price of admission, the side stories are just as engaging as the main thread, so don’t rush to the end of DE: MD or you will miss most of the fun. Unfortunately, the Deus Ex series runs a bit long with its development time, so Mankind Divided will have to suffice for years to come if my itch to take over the life of Augmented Interpol agent Adam Jensen flair up again anytime soon. Good thing developer Eidos Montréal and publisher Square Enix crushed it with their latest effort. I love Remedy as a developer as they rarely miss their mark, and they sure didn’t miss it with Quantum Break. There is so much to love about this XBOX exclusive. The gunplay, the cover system, the awesome time based powers,and the splintering time travel based story! At the midpoint of the year QB was one of my front runners for GOTY. 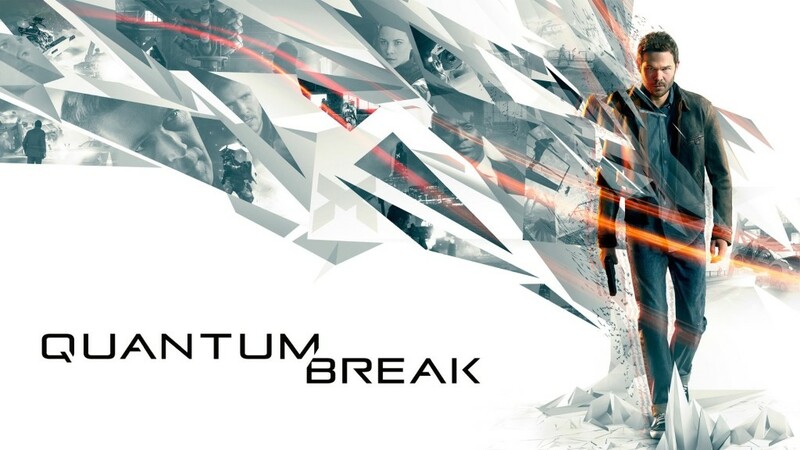 The fact that it has slid slightly down the list does not take away from the fact that Quantum Break is a tremendous game! The gunplay is so silky smooth that I felt like a time manipulating, bullet spewing, havoc creating god! If that doesn’t sound like an enjoyable way to spend 10ish hours then this game is not for you. 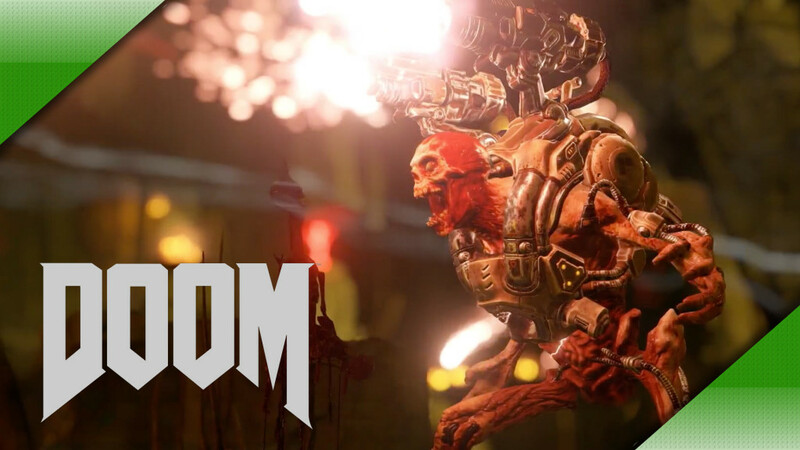 After careful deliberation (in other words, the continued destruction of any Hellbeast that had the misfortune of running into my continuous stream of bullets) I decided that DOOM deserved a higher spot on my list than Quantum Break. I know its kinda weird to flip flop games after I had previously stated that QB was an early GOTY contender, but It’s my list and I do what I want. So there! Now If you don’t mind I’d like to quote myself. Yep. Still feel exactly the same as I did more than a half a year ago, except I would retroactively raise the total score to an 8 just because the single player is so damn good! For more on DOOM read my review here, exclusively at Monkeygoosemag.com! What an amazing world developer Playground has lovingly, and accurately (in terms of a video game at least) has recreated here. There is so much attention paid to the details of what makes Australia a unique and interesting place to explore vehicularly. From lush jungles to sandy deserts and beaches over to more densely populated cities, Australia just works as a diverse video game world. On top of the visuals and the terrain diversity, there is no shortage of objectives and collectibles in FH3. From the series staple “event” races which pit your car against some crazy opposition (one of these races has you racing against a zeppelin!) to the 150 or so bonus boards scattered all over Horizons 5 main hub areas there is never a feeling of lack of purpose, if you want it. I had just as much fun driving all over the provided game play area just trying to top my high style-points score as I did in actual races. I’m not a big racing nut but I have always been a fan of the more arcadie or open world racers. Horizon 3 is sort of a blend of the two with just enough realism to keep the whole experience grounded. If it leaned in any of those directions more then the other FH3 wouldn’t work as seamlessly as it does. 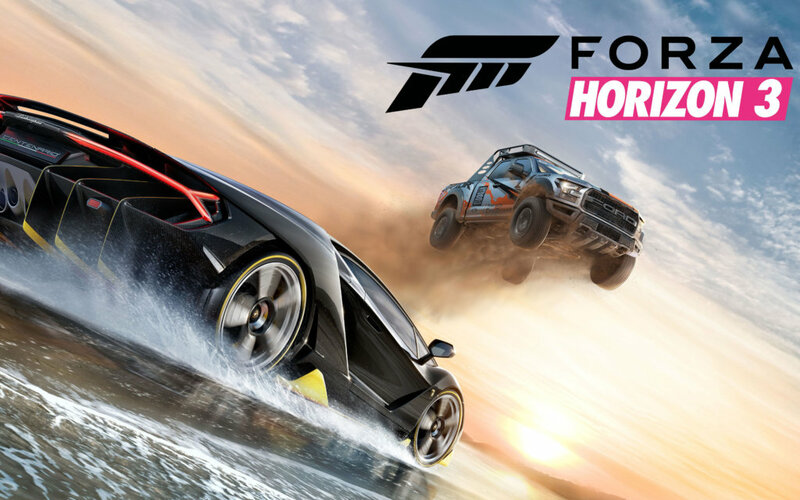 As is stands, Forza Horizon 3 is my favorite racing game since Burnout 3 and as such, comes highly recommend! Damn! Titanfall 2 was so close to being my favorite game this year. I have probably put more time into TFE than any other game on this list. Every single complaint about TF 1 was addressed and completely fixed in developer Respawn’s latest effort. This game has almost everything a modern/advanced FPS fan wants. Super polished gunplay, customization, great traversal, verticality and versatility, a class leading single player campaign, and a stellar multiplayer suite. OH, and I forgot to mention, it has GIANT FREAKING MECHS! Forget what I said about “almost everything a modern/advanced FPS fan wants”, Titanfall 2 has it all! I swear Respawn used some sort of Riddler type of mind reading device from Batman Forever and stole my deepest wishes for what I want in a FPS (I can’t believe I just referenced Batman Forever, I deduct 2 points from my coolness factor, never to be regained). 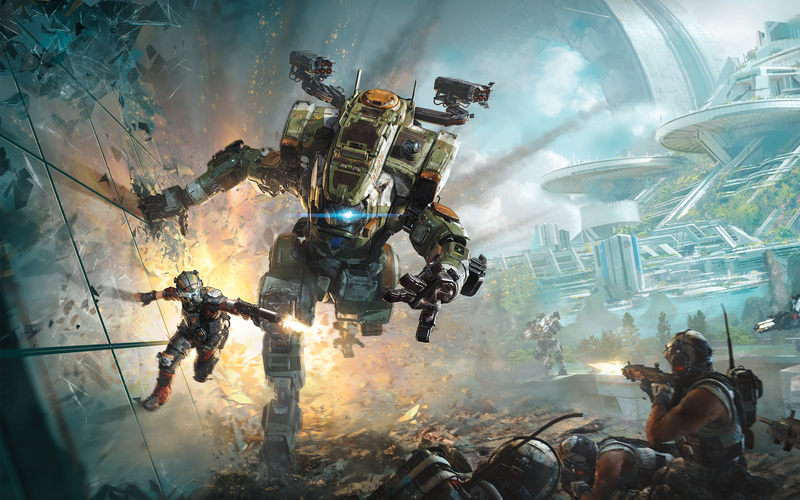 Anyway, buy Titanfall 2! Thank you and your welcome! I wrote quite a bit about Inside in both my Mid Year Top 5 and in the actual review of Inside I did earlier this year. The only update I have to report about this wonderful, wonderful game is that it is now available on PS4 as well as Xbox One. My love for this game has not wavered since I first played it. It is that “once in a generation” game that when you hear about other people just beginning their journey (albeit a short one) you become jealous of them because you can’t experience it ever again for the first time. 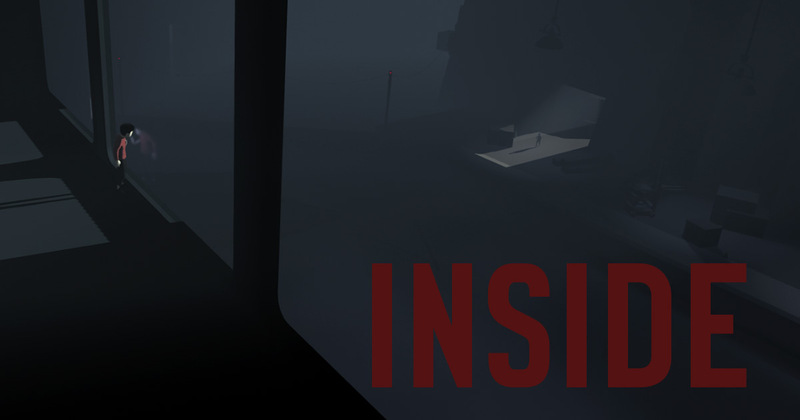 That is why Inside is my Game of the Year! Just one last thing, I’d like to pour one out for the games that fell off my Top 5 Mid Year list like Overwatch (I’m sure some of you are yelling at me for that one) and The Division. Both of these games are great in their own right but it’s a Top 10 list and not a Top 12 list so something had to give.